Photographer: Harley Weir. Model(s): Lara Stone. Source: V Magazine. Stylist: Max Pearmain. Makeup: Petros Petrohilos. Hair: Tina Outen. 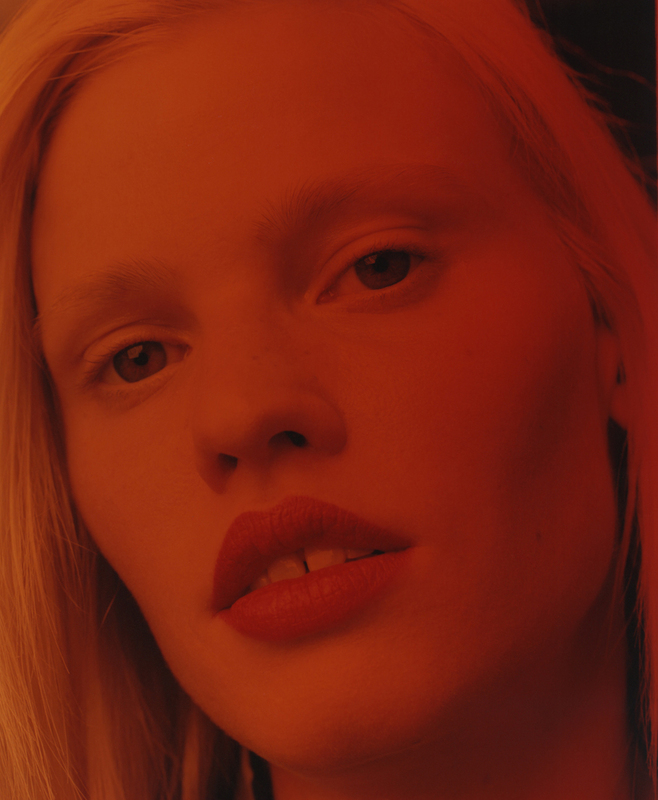 Lara Stone fuels the female fire in ‘Before the Fall’ by Harley Weir for V Magazine, Summer 2015. The art of empowerment worn with the revelry of faith. To walk the path of fierce independence is to walk your truth. Stylist, Max Pearmain, has fun with fashion in daring designs by Chanel, Giorgio Armani, Dior, Gucci, Miu Miu, Prada, Raf Simons and more. Contrasting colors dare to unite for a vintage vibe unlike we’ve seen. The furor of fad gets très mad, with a checkered spandex one-piece covering the body like a circus catsuit. While black leather goes for bold with a sparkling silver sweater lighting things up. Chaotic fabrics compel us forward as a merger of mismatch propels us to the next level. By embracing our ability to change, we invite the world to witness our true selves. Beauty becomes as (Makeup Artist) Petros Petrohilos captures the power of penetrating eyes with features that speak. While lips hold deep secrets as rich color revels in the enticement of red. Hairstylist, Tina Outen, lets blonde locks fly free with stick straight strips falling around her shoulders. Each tint has a way to convey with a bold array of color and play. Stone sends a message of strength, with art that gracefully emanates off the face. Empowerment Ignites… as cohesive combinations reflect a sense of harmony in our fight for female empowerment.